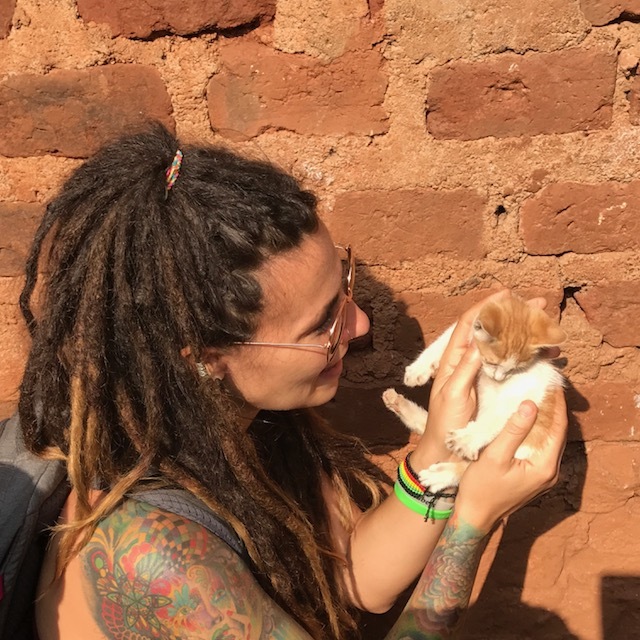 Aja Nikiya is an international traveler, humanitarian, photographer, and activist for animals and under-served populations. 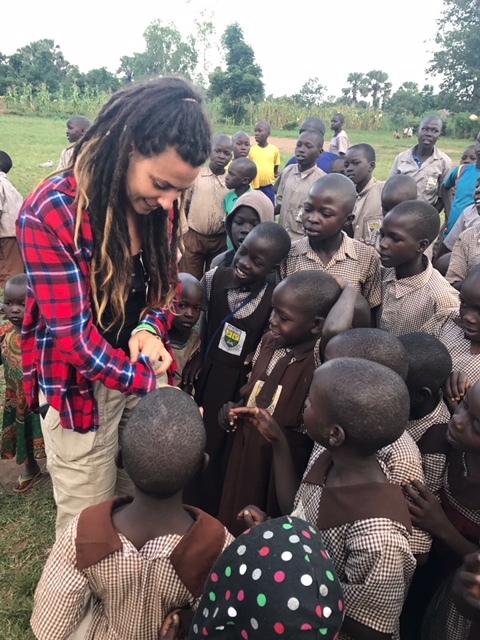 A modern-day warrior and a true example for us all to look up to we continue to be inspired by Aja's efforts around the world. 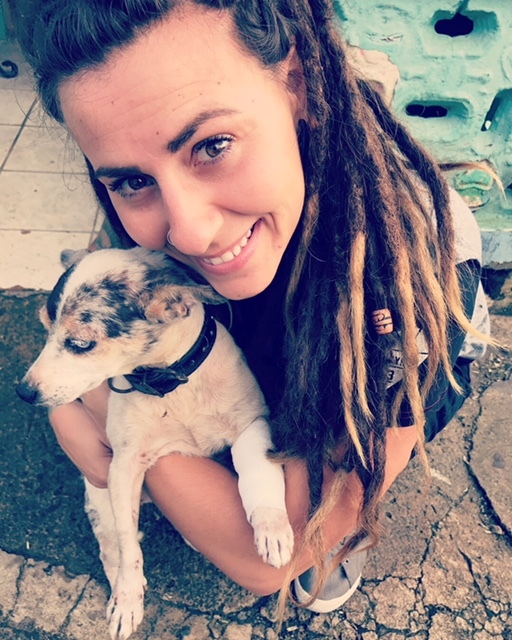 When we caught up with Aja, she was on her way to Utuado, Puerto Rico to help animals in need after Hurricane Maria. Her story is beyond impressive and we are super honored to be able to share a small piece of it with you here. How did you get started in this type of work? What is your origin story? I'd have to go back to second grade for this question as I was quite the advocate back then. 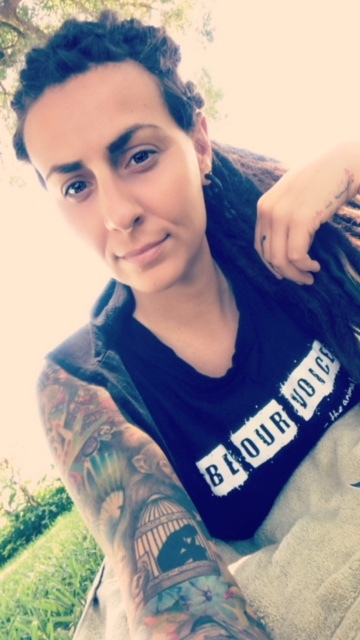 Always on animal rescues, writing letters to Congress on behalf of animals and going around the lunch room getting petitions signed for bears in captivity. I've always had the urge to help those in need, be it people or animals. But in all seriousness, I started my nonprofit work about 4 years ago after leaving corporate America to live out my dream. 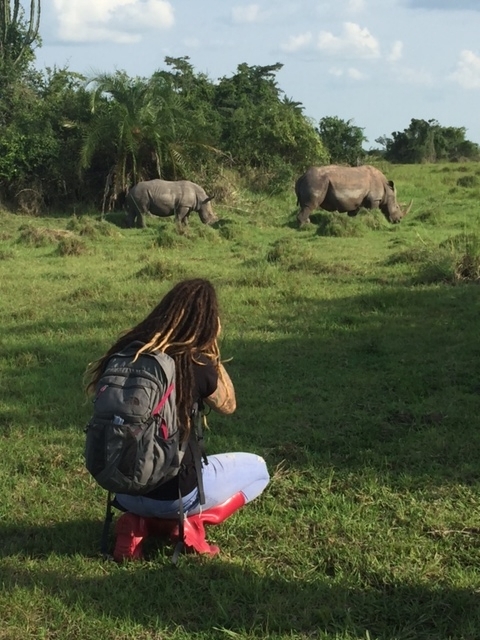 I broke away from the 6-figure job to travel and help vulnerable people and animals around the world. Looking at your Instagram it looks like you are passionate about many causes from animal welfare, to humanitarian issues, to environmentalism. With so much to do in all these areas how do you pick your focus? It is very difficult at times to pick a focus. I think in general, I always try to advocate for the betterment of animals, people and the environment so I can at least serve as a voice for them. Generally, I pick up projects as I travel around the globe and see a need. I assess how I can be of most help and I try to pick projects that are mutually benefiting to people and animals and even the environment. I try to focus on the most pressing needs in each of the areas I work in. I look for the entire trifecta. As I travel and meet other compassionate people, projects start to develop and before you know it, I've got an entire team in a new country within weeks. It can be overwhelming at times but I wouldn't trade it for the world. We've noticed that everyone involved in this type of work has a unique compassion for the world around them, but they also have unique strengths that make them successful in such a tough mission. What is your superpower? My superpower is the ability to connect with any culture. I've had great successes in areas of the world that some fear or think are impossible to work in. My other super power is the ability to function on no sleep when I am in project mode! We noticed that you recently wrote a blog post on conscious consumerism, what are the top five ingredients you wish people would boycott and why? That is a great question and hard to narrow down but if I had to choose, it would be palm oil, plastic bags, petroleum, sunscreen and leather. Palm oil is in many of the foods and beauty products we use and is one of the top ingredients destroying the rainforests, releasing carbon into the environment and killing endangered animals like the Orangutan. Plastic bags are destroying the ocean. They are one of the top killers of sea turtles, whales, dolphins and puffins. Petroleum is an ingredient often found in lip balms and Vaseline. Petroleum is toxic to the environment and often destroys shorelines and nesting grounds due to spills. Sunscreen is the leading cause of coral bleaching and leather requires massive amounts of energy and chemicals to produce. It is harmful to animals, people and the environment. Could you tell us a bit about your NGO project Compassion Kind? Compassion Kind is a 501c3 focusing on creating a more compassionate culture through global change. We envision a world with less suffering and more compassion; a conscious culture that extends its circle of compassion to all kinds regardless of race, gender, sexuality, religion or species. We work with the most vulnerable populations; those without a voice. We work in a few key areas including humane education, global awareness, disaster relief and community action. Our projects range from disaster relief in Puerto Rico to Wild Dog conservation in Tanzania. What were some of the unique challenges to starting your own international NGO? Getting started is difficult on your own. You've got big ideas and small pockets and are your own accountant, project manager, travel agent and marketer. Once you get past the initial setup, keeping your projects going is the hard part. Getting funding isn't easy and when you're doing a lot of the work on your own, it's hard to promote your organization and solicit funds. But as time goes on, you get better at all of it, meet great people along the way to offload some of the work and things really start to come together. What are your future ambitions for both yourself and Compassion Kind? I want to continue this work indefinitely. It feeds my soul and is the most rewarding job one could ever have. I'd like to see Compassion Kind become an internationally recognized organization with staff and volunteers in every country around the globe. We want to be the driving force behind the compassion movement. For me personally, I'd love to start filming documentaries and showcasing amazing individuals around the world and this type of work. I'd also like to improve my photography skill set and do assignment shoots for NatGeo. What is your biggest victory to date? I'd have to say my recent flight back from Puerto Rico with 26 animals was quite the accomplishment. We were able to rescue these animals from horrific conditions, get them vetted with certificates, driven to the airport and flown to Florida, all in 24 hours. We have them all in foster care now and some already adopted. With no service, power or water and many different obstacles, this was one for the books! What's one thing you wish every person would either do or be mindful of every single day when they wake up? I wish everyone would wake up grateful thinking about how they can make a difference in the world. Every decision we make has the power to change the lives of many. Where can people find you, follow you, and get involved in what you do? You can find me @compassioncurator on Instagram and Aja Nikiya on Facebook. Compassion Kind also has its own social media pages @compassionkind. If you are interested in getting involved, we are always looking for new volunteers and ambassadors. Feel free to send us an email at [email protected]. 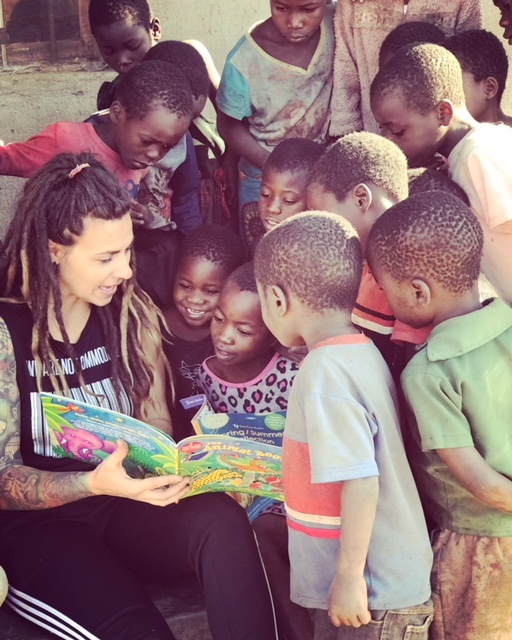 We encourage everyone to follow Aja on the socials and you can donate to Compassion Kind here.